Don't waist time placing the patterns on a special digitizing surface, fixing them with adhesive tape or other time-wasting methods. Just clean-up a bit your normal working table, leave the patterns there and go to computer. ONE simple click, and the camera automatically captures the picture and transfers it to the computer. The image is automatically processed and the patterns are extracted in just few seconds. A smart and simple calibration procedure is necessary only one time when you first install the system, offering a comfortable precision of less than 0.7 mm. Quick and easy inspect the result of the automatic digitizer using the Contour Play function. 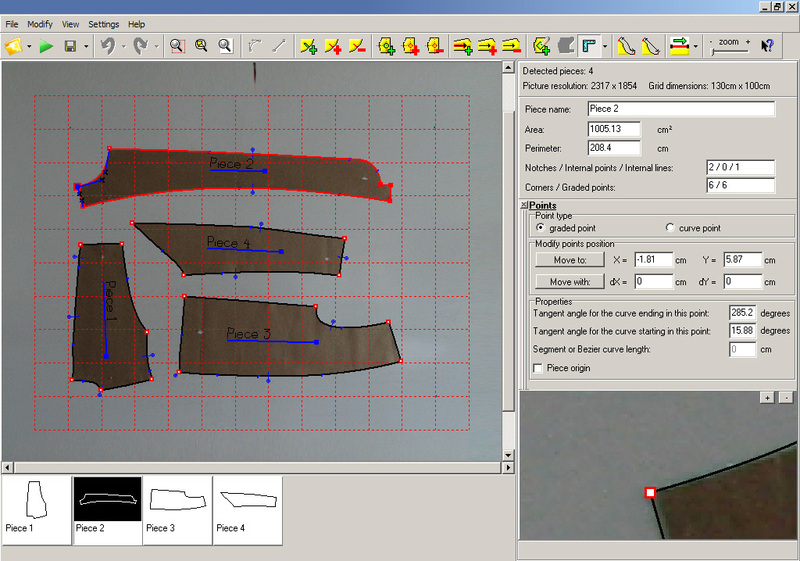 Measure distances and perimetral contour, check and adjust the internal elements or the shape of the curves if necessary, add or delete any element, input the piece name, all in one single window. Done ! Easy to use zoom and navigate functions and the special magnifier viewer make your activity easy and efficient. 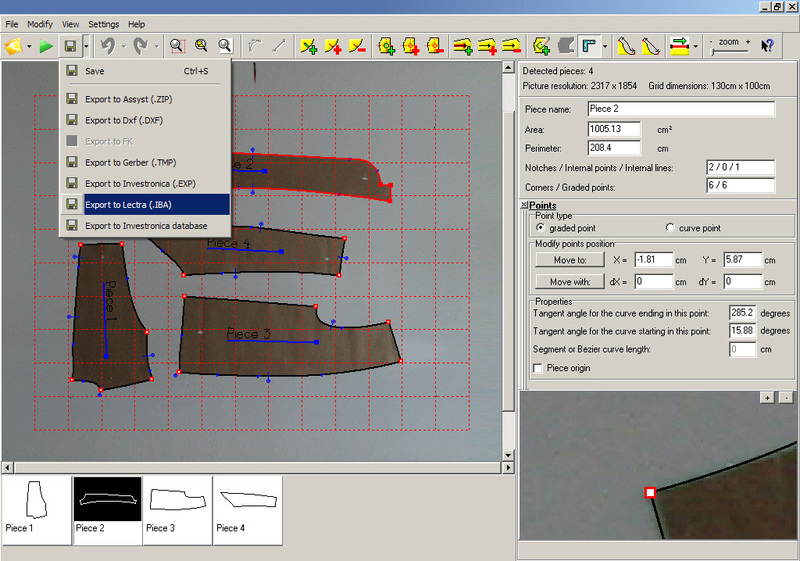 Save the patterns directly in the native format of your CAD system. It does not matter what CAD system you use, the photo digitizer is compatible with it (see the list on the back). The system will remember the save settings (location, format, etc), so you can have the patterns available directly to you CAD system with one simple click. 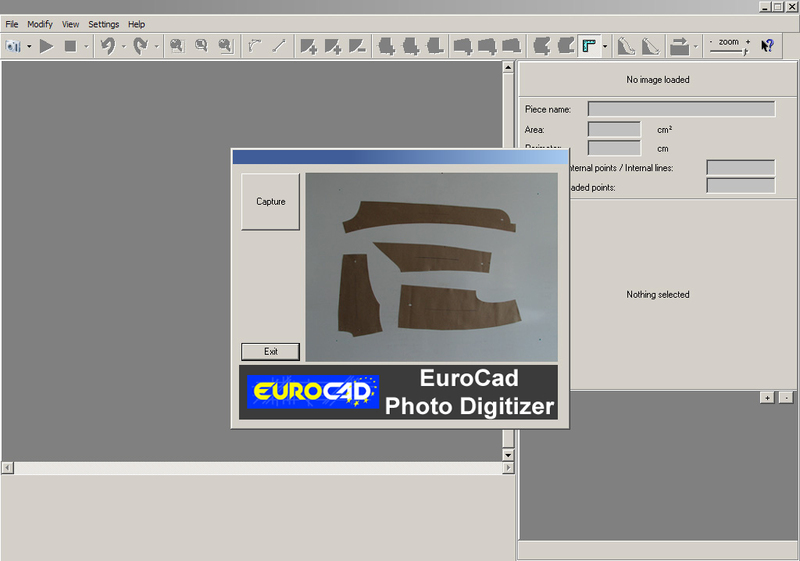 What CAD systems are compatible with Photo Digitizer? How can you install the photo-digitizer? What elements of patterns will be extracted automatically? The photo digitizer can automatically extract the pattern contour, using precise Bezier curves, can identify corners and mark it as reference points, can identify different type of notches (marked or cutted), internal points and internal lines. By convention, the longest internal line found will be declared as grain axis. When the pattern are create inside the office, it is usefull to respect some standard marking procedures, avoiding any manual adjustement of the digitizing results.